Steve joined Wilmington Healthcare from CARE IS, a provider of clinical decision support software solutions, focused on quality and outcomes improvements designed around patients. During his time at CARE IS Steve’s overarching objective was to deliver improved clinical outcomes for the NHS at the same or lower cost. Prior to CARE IS, he worked within the pharmaceutical industry to develop and manage NHS partnership projects and help improve service redesign. 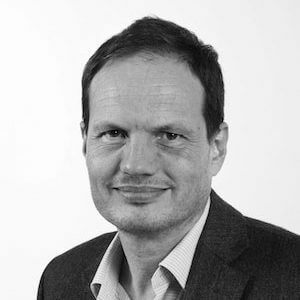 Steve is passionate about facilitating partnerships to develop better healthcare; whether that is linking up various providers and suppliers in the NHS, supporting industry on their strategic approach to working with the NHS or supporting public engagement with their local NHS. This passion led Steve to set up Exarca Health in 2012; a unique organisation that uses its in-depth understanding of NHS priorities and processes coupled with healthcare business insight to help build unique and mutually beneficial partnerships between industry and the NHS. Steve has also worked within the NHS with commissioners and provider organisations and in his spare time is an active Governor of Nottinghamshire Healthcare NHS Trust. He is currently Chair of Mid-Notts Better Together ICP Citizens’ Council.